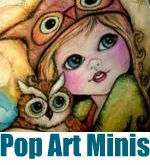 Pop Art Minis: "Peek-A-BOO!" & "Gobble Gobble" Complete The Year! "Peek-A-BOO!" & "Gobble Gobble" Complete The Year! 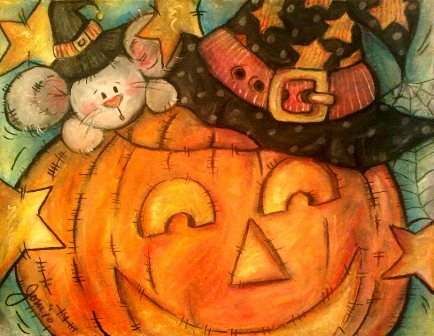 A Halloween design featuring a bewitching mouse playing "Peek-a-Boo" over a jolly jack-o-lantern and both wearing the cutest witch hats! A little mischief on Halloween night! 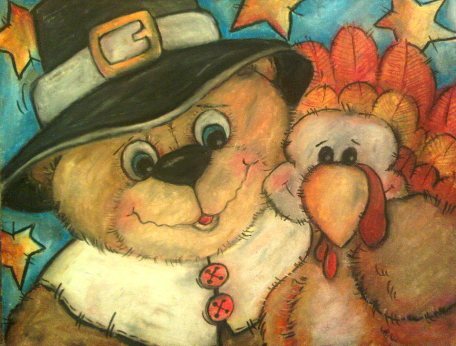 featuring a teddy bear pilgrim and his "turkey" friend Fred! That's it . . . 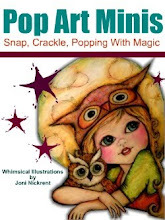 I'll be uploading soon to the Pop Art Minis Zazzle Store and will keep you posted when the calendar is ready to roll out! Wonder what month will be your fave?